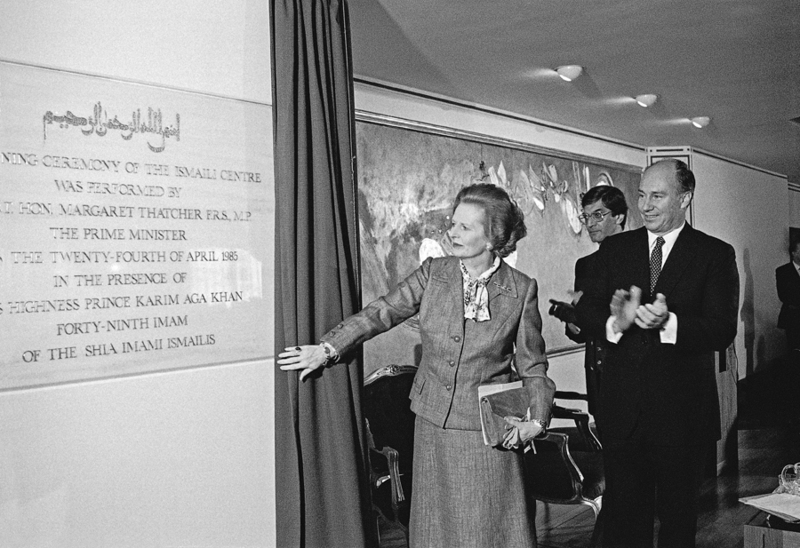 In the 25 years since it opened, tens of thousands of people have experienced the Ismaili Centre in London. 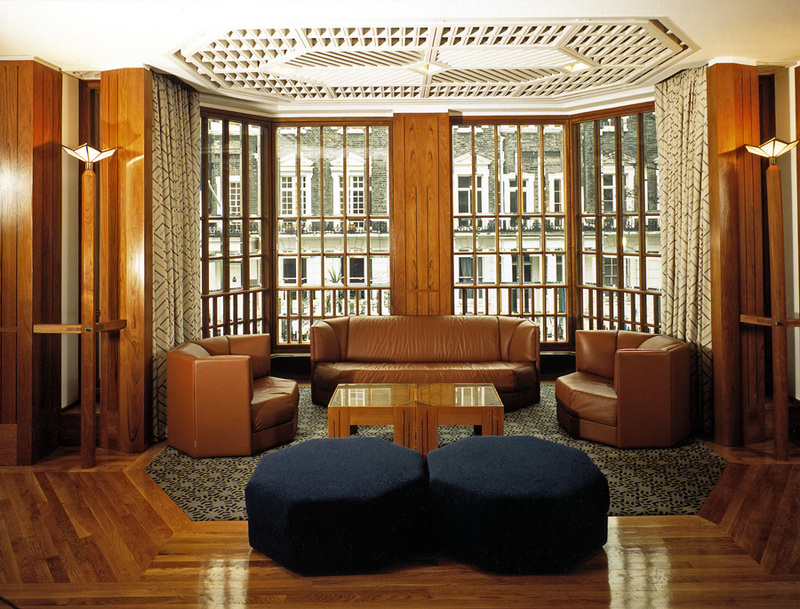 The building at Cromwell Gardens in South Kensington was the first high profile Ismaili Centre to be designed and built in the West, and realised an important vision of Mawlana Hazar Imam. Since then, it has both reflected and shaped the aspirations of the Jamat. 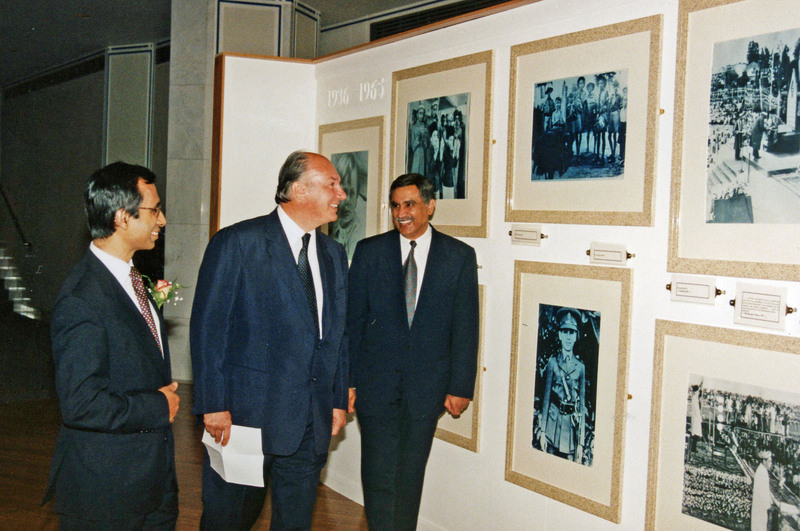 A visual journey through photographs and quotations that highlights memorable moments and images from the past 25 years of the Ismaili Centre, London. Bismillah-ir-Rahman-ir-Rahim. This invocation – central to the Muslim faith – greets visitors as they enter the Ismaili Centre in London. Water ripples from a seven-sided marble fountain, drowning out the hubbub of Central London traffic outside. 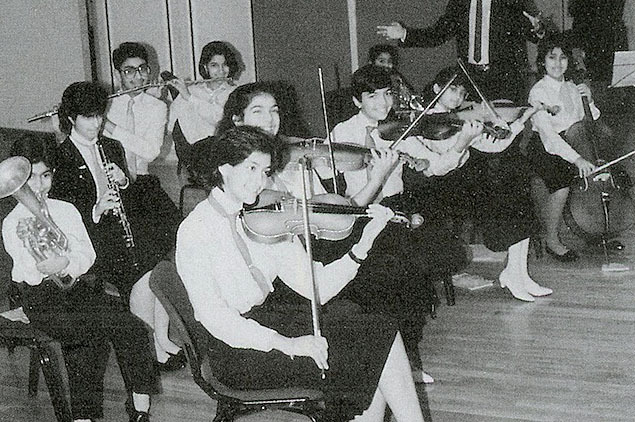 When the Ismailis first settled in the United Kingdom, their presence was imperceptible to the wider society. Today, that is no longer the case. While Ismailis still only make up a small fraction of the country's population, the community's contributions to society have increased exponentially. Within and beyond the walls of the Ismaili Centre, the community regularly hosts a variety of initiatives that are open to the general public, including exhibitions, lectures, and debates. In the years since the opening, tens of thousands of people have experienced the building through guided tours conducted by trained volunteers. Counted among them are royalty from various countries, prime ministers and senior political figures, leaders of industry, religious leaders, and famous personalities. 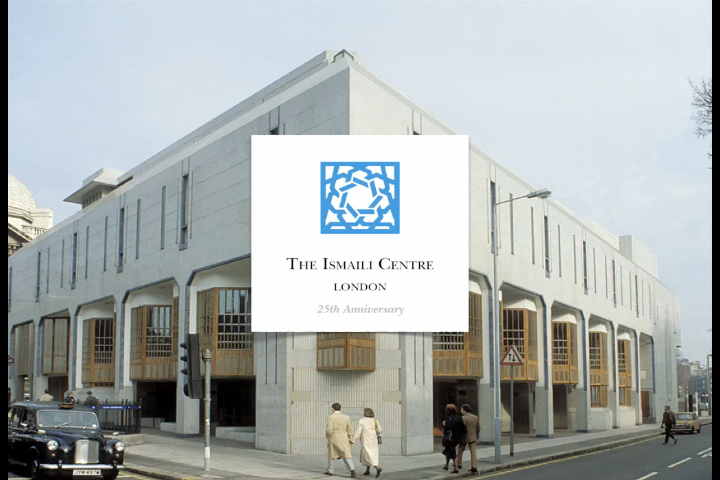 Since 2000, the Ismaili Centre has participated annually in London's Open House, which has brought thousands of visitors to the Centre. Nizam Abdulla, a former Vice-President of the Ismaili Council and a Mukhi of the Darkhana Jamat, has been a volunteer tour guide since the building opened. The building at Cromwell Gardens in South Kensington was the first high profile religious and cultural centre to be specially designed and built for the Ismaili community in the West, and was followed by Centres in Vancouver, Lisbon, Dubai and Dushanbe. Four others are at various stages of planning and development in Toronto, Houston, Los Angeles and Paris. These architectural masterpieces are bridges between communities and cultures, providing spaces for peaceful dialogue, contemplation, education and exchange. 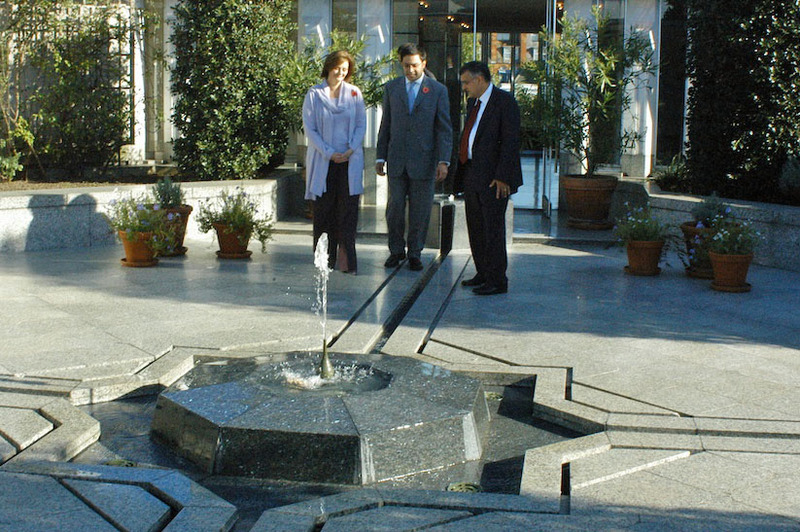 They embody the values and ethics of the Ismaili Muslim community. With its open plan and inviting space, the Social Hall at the Ismaili Centre has hosted a variety of events and activities that have contributed to this understanding. For example, the Ismaili Centre Lecture Series, which has been running for over a decade, brings together guests from a multitude of backgrounds to hear high profile speakers discuss topical issues. Those who have grown up with the Ismaili Centre over the last 25 years recall running around the Gulgee portrait of Mawlana Hazar Imam as young children, never quite comprehending how his eyes could constantly follow them. They have fond memories of attending New Year's eve youth festivities in Centre Space as young teenagers who were only allowed to ring in the occasion there, or as older teens who attended with friends who were on the organising committee. There were also sleepless nights spent in basement committee rooms preparing for Partnership Walks, Imamat Day socials, National Sports Festivals and other Jamati activities.